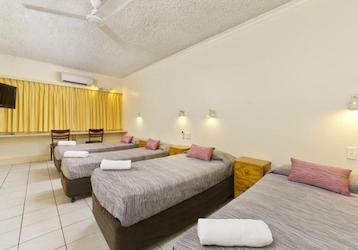 All our rooms are centrally located in the Cairns CBD, walking distance to all the best nightlife, restaurants, casino, tropical beaches and the popular esplanade swimming lagoon. Whatever your preference, we can guarantee a night, weekend or week full of big laughs with the boys, good times, great tans, and a bit of a hangover. A Cairns Wicked Bucks party will not disappoint! Enjoy the ultimate inner Cairns experience surrounded by restaurants, shops, sports bars, pubs and clubs and just two minutes, stroll from the Esplanade lagoon, tropical beaches and the Reef Hotel Casino. Choose from twin rooms or 4,6 & 8 bed dorms. All rooms are air-conditioned and perfect for the budget conscious bucks party who plans on spending more time partying than in their rooms. Party in tropical 4-star style comfort at an awesome Resort conveniently located five minutes walk from the esplanade where all the nightlife action happens. 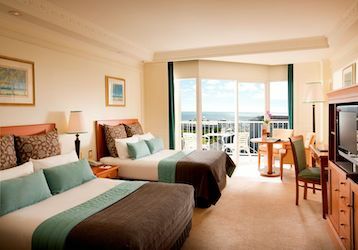 Featuring modern, air-conditioned rooms with balconies or terraces overlooking the larger than life lagoon pool, tropical gardens or Cairns city. Choose to have a few cold ones at the resort bar in front of the big screen TV or take full advantage of happy hour at the swim up pool bar with the boys before hitting the clubs. 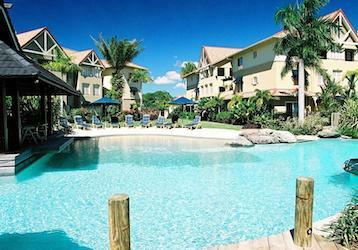 Enjoy stylish resort accommodation in a prime waterfront location along the vibrant Cairns Esplanade. Perfect for some pre-party celebrations, these amazing 3 bedroom self contained apartments feature air-conditioning, balconies and spacious living areas, resort style swimming pool, spa, gym, BBQ area and room service. Perfectly positioned in the CBD only a stones throw away from the epic nightlife of Cairns including the Reef Hotel Casino, you’re in for the night of your life.